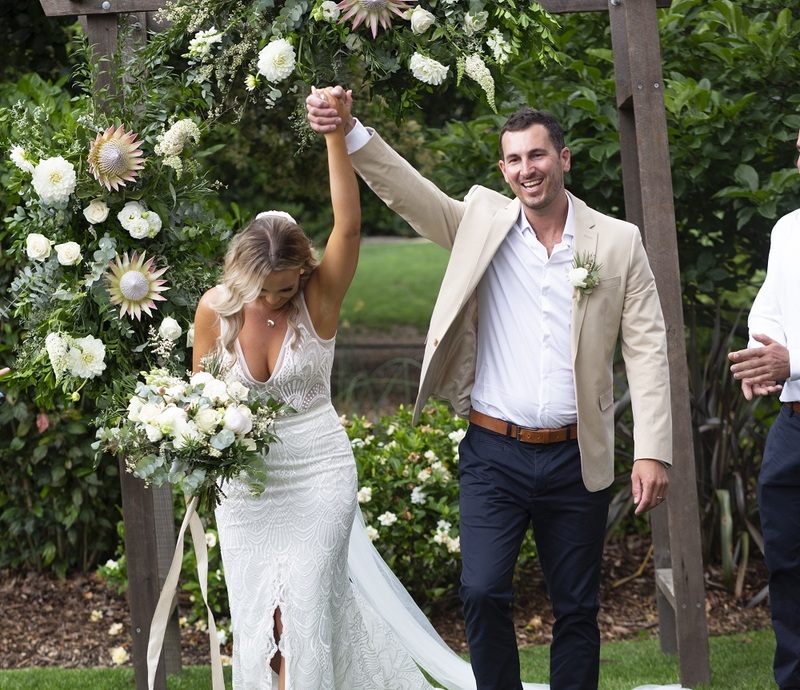 It was a totally awesome wedding ceremony for this super chilled couple, who married today in the gardens at the beautiful Hazelhurst Café. 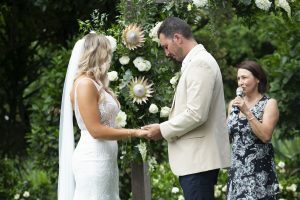 It was in between two incredible summer thunderstorms, when the sun broke through the clouds and covered this couple a magical ray of sunshine throughout the ceremony. This fun-loving couple first met when Luke saw this super hot blonde chick drive past him in a ute. Living in a small town at the time, it wasn’t hard for him to track her down. Meeting up for the first time, with a bunch of mutual friends, was their beginning of their forever after. 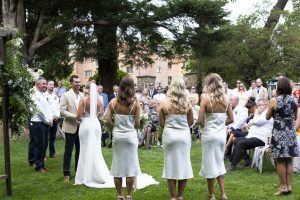 Today they celebrated with their family and friends, in a fun, uplifting wedding ceremony, ready to party the night away. And just as the happy couple were taking their first steps as happily hitched the thunder cheered the sky and rain came pouring down in celebration!